Do you often feel a tingling pain on your legs, accompanied by numbness or weakness? It’s a kind of pain that starts at the lower back and moves through your buttocks then through the back of the legs. If you’ve had these pains, you might just be experiencing the sciatica pain. As the leading pain management center in Hyderabad, Telangana, let us impart with you this fundamental knowledge on sciatica pain. “Sciatica” is not an illness. It’s a symptom for a serious medical issue caused by lower back problems, including lumbar herniated disc, spinal stenosis, spondylolisthesis, or degenerative disc disease. It’s the pain resulting from the irritation or compression at the point in the body where the sciatic nerve originates. As the largest single nerve of a person’s body, the sciatic nerve is composed of many nerve roots that branch out from the spine at the person’s lower back and combines together. This nerve begins at the lumbar segment 3. When is a person at risk of sciatica pain? 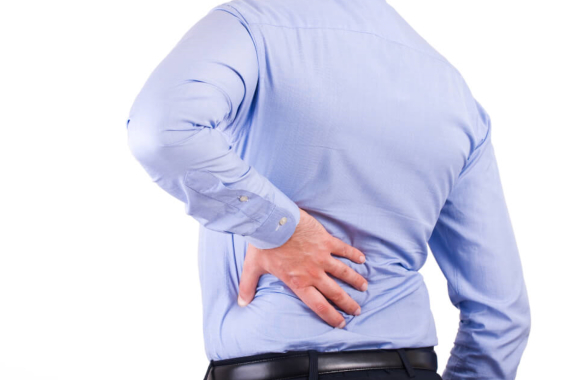 Sciatica pain typically occurs at the middle age of a person’s lifetime, which is approximately 40-50 years. Different people have different levels of sciatica pain. Some experience mild pains, while others go through severe and debilitating pain. However, in most cases, patients with this condition and undergo chronic pain treatment in Telangana often experience improvement or relief within weeks. How can the patient know if their sciatica pain is already serious? Even if these are symptoms, sciatica pains will need immediate medical or even surgical attention. These procedures may be advised when the sciatica pain points to progressive neurological issues or serious dysfunction or a person’s bowel or bladder movement. Sciatica can also be caused by tumors or infections in the spinal column. In these cases, sciatica pain is considered serious. Since sciatica is a symptom of a deeper illness, it needs a professional evaluation from a licensed physician or therapist. The licensed healthcare practitioner can provide information on how to reduce the pain and to diagnose the underlying medical illness. It is therefore advisable to see your physician learn about possible sciatica interventions. Where to get pain interventions for sciatica? Along with other pain conditions, sciatica pain can be treated or intervened at Advanced Spine and Knee Hospital. Our expert therapists can work with you in designing treatment plans and routines tailor-fit to your specific condition. Keep in touch if you’re interested to inquire further. This entry was posted in Sciatica and tagged Prevention of Sciatica, Risk of Sciatica Pain, Symptoms of Sciatica Pain. Bookmark the permalink.